Manchester Youth Zone Together Money does ‘Employee Fundraising’ with a Difference! During September, Together Money’s Graduate students came over to visit us at the Youth Zone, where they were tasked with the Gold Paperclip Challenge. Inspired by Canadian Blogger, Kyle MacDonald’s Red Paperclip Challenge, each graduate was given a gold paperclip which they had to use to negotiate trades for something bigger and better. Their final items will then be auctioned off through a silent auction to raise funds for Manchester Youth Zone. Here’s what the graduates have to say about their journey so far…. “My name is Dina and I am a Graduate Management Trainee at Together Money. My journey started when I and the other two graduates were given the golden paperclip challenge to help raise awareness and funds for Manchester Youth Zone (MYZ). 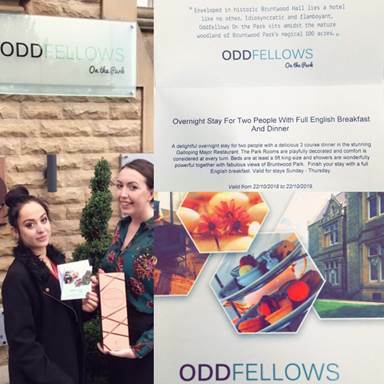 The paperclip quickly turned in to a USB light bulb, a set of travel speakers, a bottle of Laurent Perrier champagne and now, a one-night stay for two including breakfast and 3 course dinner at ‘Oddfellows on the Park Hotel’ in Cheadle, worth around £250! The challenge has also led to other small donations from businesses which will be used in the raffle. “We had the great opportunity of meeting the fantastic staff at Manchester Youth Zone back in September and recently returned to help out with one of their sessions for the young people. I absolutely love going up there and seeing the positive effect they have on young people – they are at the heart of everything they do, it is so inspiring. I have found this challenge really exciting (and very challenging at times!) – I can’t believe I’ve managed to trade a paperclip and end up with a two night stay in the Lakes for up to two adults and two children. “When me and the other graduates had the privilege to spend some time at the Manchester Youth Zone, we were totally blown by the inspiring work this charity does for young people – from their staff, to their amazing sessions, facilities and mentoring programmes etc. 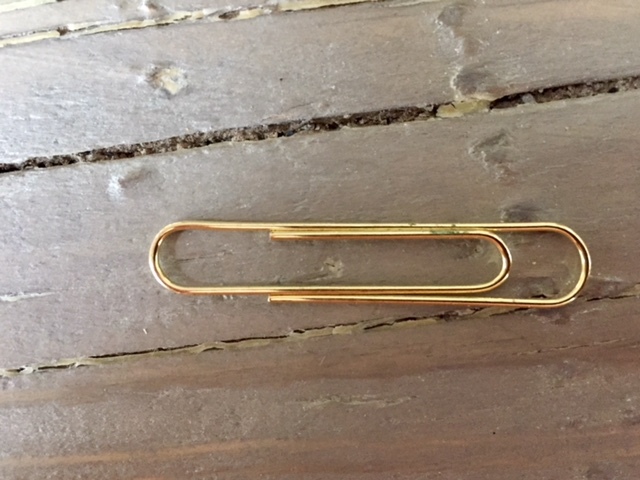 I felt really humbled to be taking part in the gold paperclip challenge to help raise awareness and funds. My journey so far has been challenging to say the least, I started with contacting friends and family to colleagues at work and external businesses. I have gone from having a Gold Paperclip, Yankee Candle, Fuzzy Duck giftset, refurbished IPhone 5S, brand new Amazon tablet to a brand new IPad 32GB Space Grey to trade! On the 9th November the silent auction will open for bidding. The auction will run for three weeks ending on the 30th November. The graduates still have just under two weeks of trading to go, the final items will be announced on the opening.